If you are feeling uneasy, new to snorkeling or unsure about the ocean, our ‘Pod leader’ is in the water with you to help you. We will assist your child, assure them, and help them to see the dolphins. Our swim support staff are certified CPR, First Aid and part of Coast Guard Drug Testing program. Neoprene vests to keep sun off your back, keep your body warm and offer a bit of floatation. Wet Suits for the kids to keep them warm and comfortable. High quality masks & fins in variety of styles to fit each person’s unique face and foot shape. Got Whales? We do. In season of course. The educational component on our trips is rich in information. 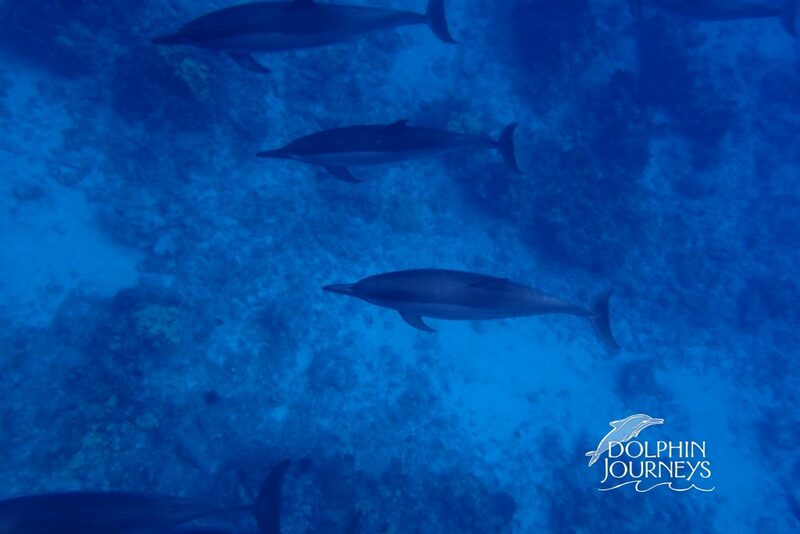 Dolphin Journeys is a Specialty Company with 20 years of swimming with Hawaiian Dolphins. 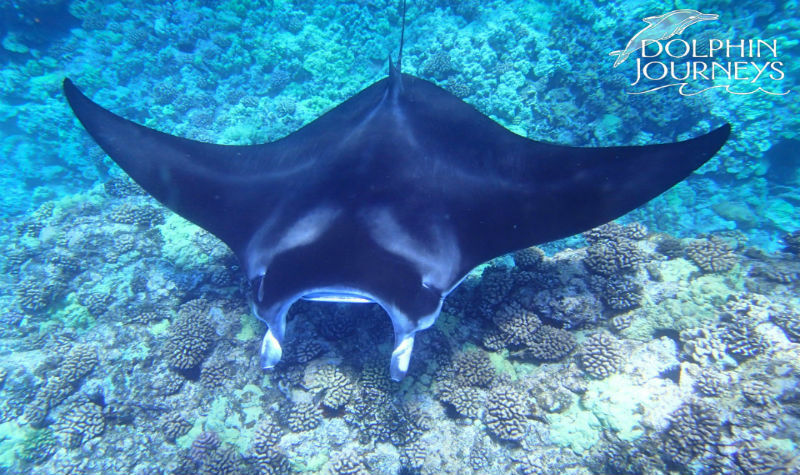 Our Staff are College Graduates and have been educated in Marine Mammal & Manta Ray data and the personal connection between our marine species & humans. We are the Original Company to take people to meet and encounter the dolphins as their primary activity. Started in 1996, Capt. 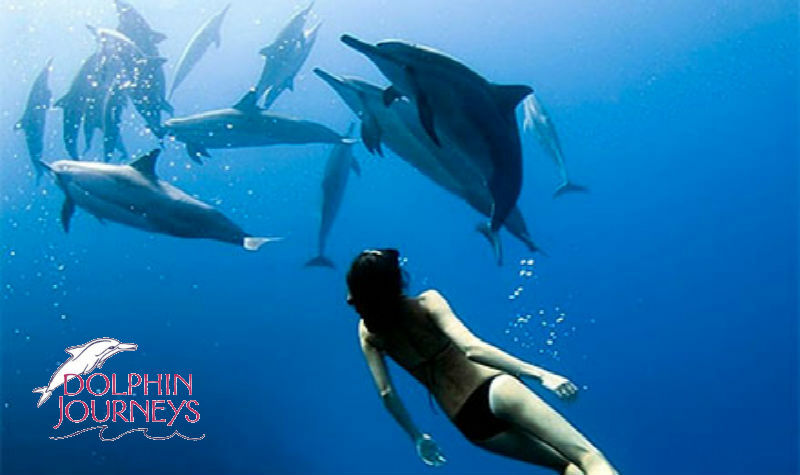 Nancy & her crew have been leading people to the joy and amazing experiences of open water encounters with dolphins, manta rays and whale watching. We strive to offer the most safe, educational and deeply rich experience. We understand your precious vacation dollars deserve to be spent on the very best. A cabin to keep items safe and dry, and a Head with sink. She rides easily through the water with 6000 lbs in her keel for stabilization. Swim step on back deck – no transom to crawl over. Heavy duty ladder with 4 steps below the surface of the water for ease to get on the boat from the water. Hot fresh water shower on the deck to rinse off the salt – “It Feels Oh So Good”! Shampoo & Cream Rinse available to get the tangles out of your hair at the end of the day. Drinking water is served in special blue bottles, so the PVC from the plastic does not melt into your water from sitting in the sun. Includes fresh fruit – 99% time Pineapple. Special chips with no artificial anything, no sugar. They are taro or sweet potatoes that are locally grown and manufactured. The have 3 ingredients, taro/sweet potato + coconut oil + salt. You can choose from a sandwich, wrap or salad. Gluten free, sugar free and vegan diets are easily accommodated. Selection of Hawaiian juices, sodas, green tea (with & without sugar) and plenty of water. When the day is done and you have had your last swim, we have a dry plush towel to offer you if your towel is damp. If you forget your sunscreen – no worries we have premium sun screen to help keep you safe from the warm Hawaiian sunshine. We Offer Special Trips to guests who may want an unusual trip…. Let us know your heart’s desire and we will do our best to make it happen. These are Private Charter trips. 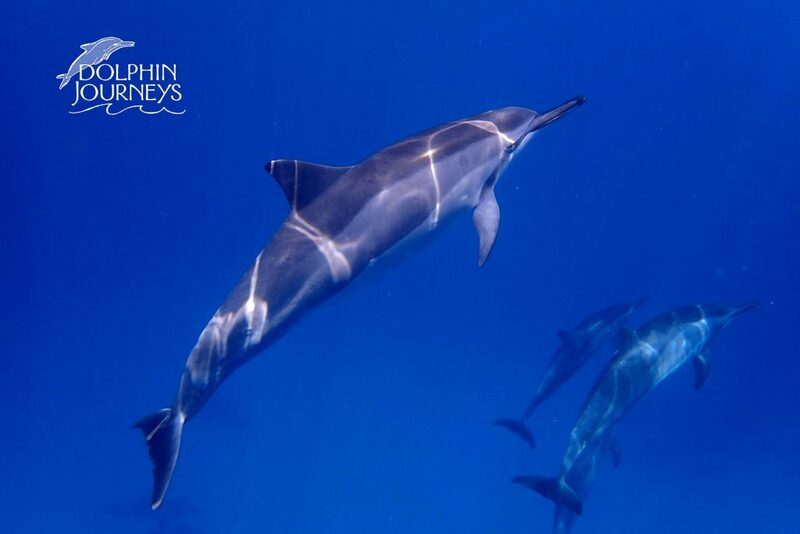 Check in for your trip is done at the Dolphin Journeys Shop. 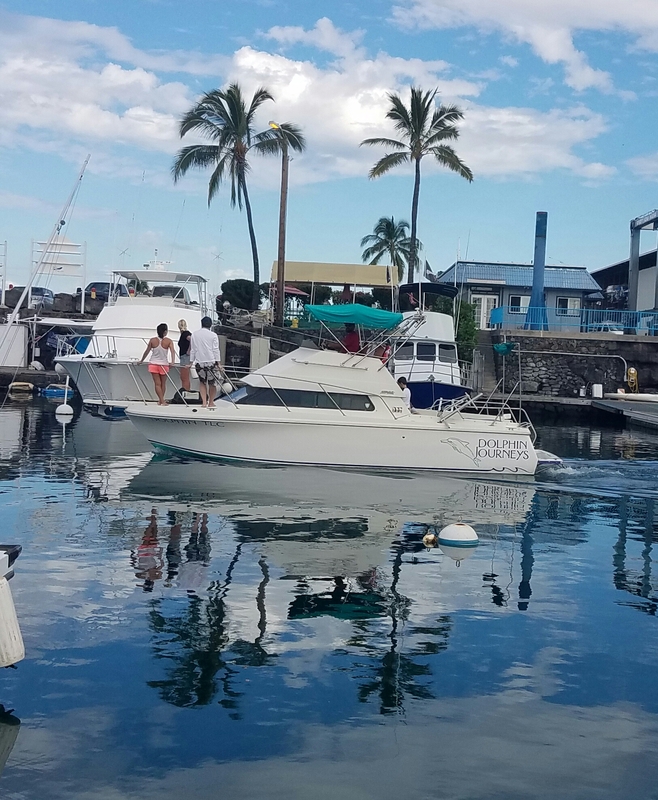 The Shop is located at Honokohau Harbor in the Gentry’s Marina shopping area. Take the 2nd left – just 100 yards from your right-hand turn. You will see a strip of buildings with blue roofs. Turn into the parking lot. Dolphin Journeys is on the right hand side next to the Coast Guard. Come on in. The door may be closed for air conditioning or because our dogs Chester and Bess are visiting.